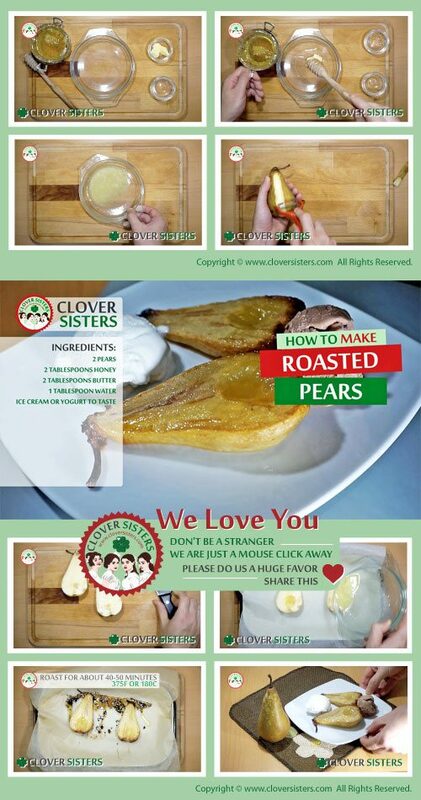 Fantastically delicious, taste of roasted pears is absolutely perfect. 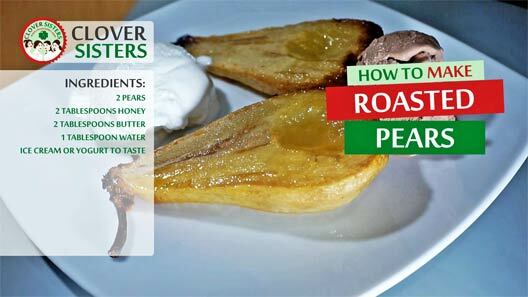 Sweet dessert, easy to make and very presentable, roasted pears will single handedly, turn ordinary meal into an elegant dinner. Place halves of pears with cut side down in a buttered baking tray. Microwave honey and butter, add 1 tablespoon of water and pure over the pears. Preheat oven to 375F (180C). Roast pears for about 40 minutes, until becomes golden. Serve with ice cream or yogurt.